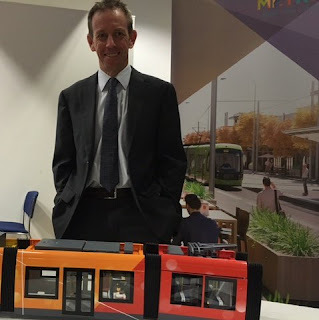 ACT Greens MLA, Shane Rattenbury, has welcomed the announcement of the Canberra Metro as the consortium who will construct the first stage of Canberra’s light rail system from Gungahlin to the City. “Canberra has turned a corner today. Today we welcome a vision for a new and exciting Canberra,” said Mr Rattenbury. “This is a milestone that marks the next stage for Canberra as a progressive, sustainable, 21st century city. That is the Greens’ vision for Canberra and the key reason that light rail was included as an agreement item when forming Government with the ALP in 2012. “Over one hundred years ago Walter Burley Griffin laid the foundations for light rail with his ambitious and progressive vision for our city. 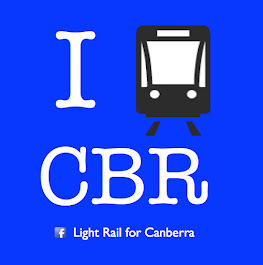 “Today is an important step in his vision becoming reality with the announcement of the consortium who will deliver the first stage of Canberra’s light rail network. “I am excited to imagine Canberra’s future entryway as a vibrant, tree-lined boulevard of activity that welcomes visitors to our city and shows them that Canberra is a fantastic place to live. “The latest demographic data shows that Canberra’s population will reach 400,000 this year. “Current projections show that without change in approach there will be 124,000 more cars on our roads by 2040 – enough to fill a parking lot the size of the entire Parliamentary Triangle. “We are a growing city that needs and deserves better public transport options. And we are going to get just that with an integrated, inclusive and affordable light rail network across the city. “This is an exciting day for Canberra’s future and I look forward to having conversations with the Canberra community about where we go next with Canberra’s light rail network,” said Mr Rattenbury.